President Obama has made history once again by becoming the first President to brew beer at the White House. 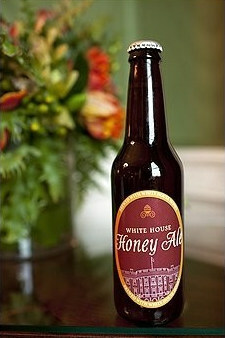 This is the first time in history that there has been a microbrewery at 1600 Pennsylvania Avenue, the aptly named “White House Honey Ale” was brewed using the White House garden beehive, which is another first for the Presidency, bees being kept at the White House. President Obama recently sat with Sgt. Dakota Meyer and the two enjoyed a couple of pints of White House Honey Ale before Sgt. Meyer was presented with the Medal of Honor. Unfortunately the Obama’s have no intention to market the ale, the only way to obtain one would be to become and American war hero or get invited to the White House on Superbowl night. The recipe for the ale is being kept secret with the Washington Post reporting just one teaser “over a pound of honey goes into that brew”. That’s a lot of honey. Imagine if the Obama’s changed their mind about selling their ale? There would be worldwide interest. If you have any comments feel free to leave them in our comments section below or join in the conversation on our Facebook page. Today is the third annual Arthur’s Day. In memory of Arthur Guinness, the man who brought Guinness to the world. The international celebration will see patron drinkers of Guinness raising glasses to Arthur, or “Gloine a ardú chuig Arthur Guinness!” today at 17:59, to commemorate the year (1759) when the Guinness brewery first opened. 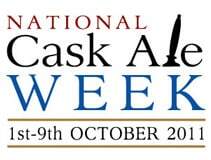 Arthur’s day is celebrated with music concerts around the world, but you don’t have to go to one of these just to spread the word, 17:59 is on the way home from work time for most of us, so stop in your local pub, order a pint, but make it a Guinness. If you know any Guinness related facts feel free to share them in our comments section below, or by joining the conversation on our Facebook Page.